CG-3000 is designed with Pi matching network. It provides more wide tuning range and covers whole HF band. Using 9 solid inductors, the total inductance ranges from 0 to 32 uH. They can give 255 combinations with a resolution of 0.25 uH. 5 capacitors are used at the input side, the total capacitance ranges from 0 to 6300 pF with 31 combinations. Other 5 capacitors are used at the output side, the total capacitance ranges from 0 to 755 pF with 31 combinations. So totally they give 245055 tuning combinations. The SP-38 external desktop speaker has been specifically designed to complement the appearance of the IC-7300 as well as improving the listening experience from its large diameter speaker. The IT-100 full automatic tuner for almost all Icom radio's. *DSP is built in to U.S. models, but may be optional outside the U.S. Please check with your dealer. 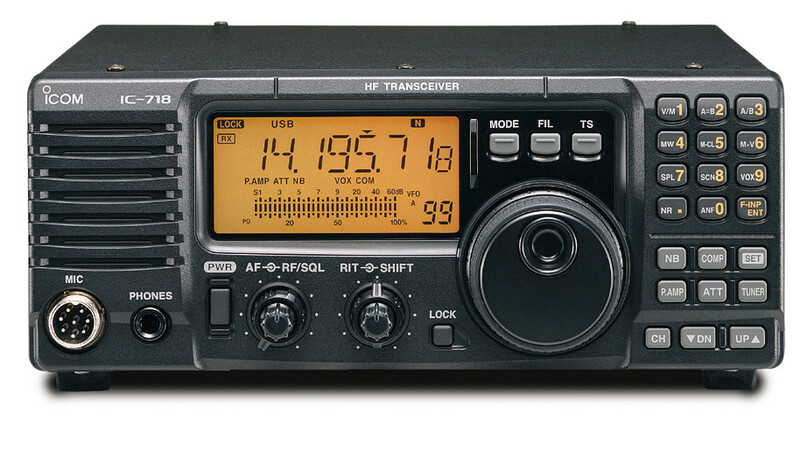 Read the QST Review of the IC-718 here! Click here to view the PDF review.